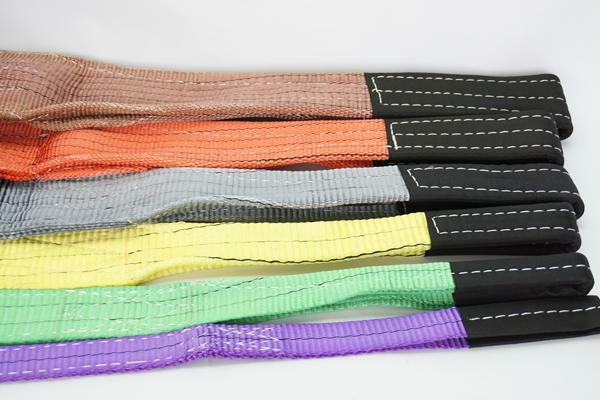 webbing sling is made of 100% polyester. Product safety factor from 5: 1 to 8: 1 are available. We make these products according to ISO4878, EN1492-1, JB/T 8521, complied with GS & CE safety requirement. Do not drag slings from under loads, position the sling correctly to ensure easy removal after use. In “choker” lifts, only use flat webbing slings with reinforced eyes. Using flat webbing slings with Becket eyes, the opening angle of the eyes shouldn’t exceed 20 at the connecting point. 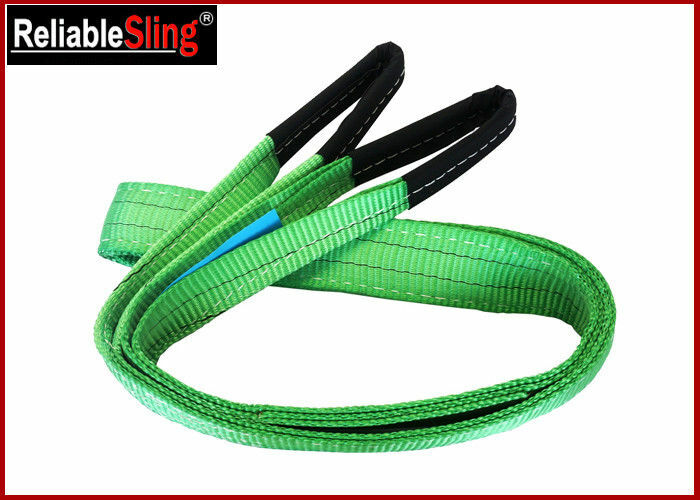 In cases that flat webbing slings or round slings are used in connection with chemical or in extreme temperatures.Contact the manufacturer for instructions. In “choker” or direct lifts, the round sling should be positioned so that it can form its “nature” inclination angle of 60 and that heat due to friction is avoided. Avoid sharp jerks and joist. Do not drag the load across the floor with the sling or drag the sling across rough surfaces. A: We are available via email, please feel free to send us your requests, and it will be nice of you to inform us detailed requests if you have. For example, size of goods, packing, and qty of each item. 2. Can I get a sample before placing order? A: Surely you will! Reliable Sling offer samples for all our clients, sample is free, and freight to be covered by buyer. 3. What's your regular packing? A: Products are usually packed in cartons and pallets, we would be more than glad to pack goods as instructed if you got special packing requests. A: T/T or LC in U.S Dollar, Western Union, PayPal & MoneyGram. A: About 20days for qty less than 20GP. B. Around 30days for 20GP, 40days for 40GP.